You’ve been dreaming of getting married to that special someone since a little child. Fast forward some years and you’re now a few steps closer. You’ve recently (or maybe not so recently) got engaged and now the planning begins… But where do we start! It’s easy, start with the venue. 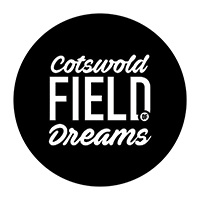 Ah… Not so easy as there are infinite possibilities of venues these days… Perhaps a destination venue to a Scicilian Castle, a stately home, an intimate cornish beach and so the list goes on… Oh and don’t forget a Field in the Cotswolds! As a couple, decide what is important to the two of you, what would make your wedding day perfect. There are so many options for venues that you need to narrow them down and know what is expected from you for each option. Wedding packages are great if you want to follow a known format that works well. There is a certain level of customisation in terms of the interior decor of the venue. Table layout & design, flowers, favours and you may even be able to put up your own bunting but generally speaking you are very limited with what you can do – And for obvious reasons, they are usually fixed structured buildings. This often also means that they are licensed for you to get married in as well, so you can have a single venue for the legals and the celebration. But if you really want to work your imagination and get creative, then hiring a space to do whatever you want with it is really where couples can live out their childhood wedding dreams. You are in total control and you can choose what direction you want your day to go in. The structure of the day will invariably be very similar to a ‘wedding factory’. Guests arrive, a ceremony will take place, drinks and canapes on the lawn, sit down with food and wine, speeches, first dance and the party starts. But the detail of each of these can be so unique and personal that when guests leave to sleep in their beautiful tipi under the stars and wake up the next morning they say… “wow that was one special day”. Due to the nature of a Field wedding and it being DIY, a lot more effort is involved so you must enjoy the planning phase. Think about sharing tasks between bride, groom, friends and family. But ultimately if you are prepared to put the time in, you will most definitely not regret it. We are also here to help guide you on your journey. 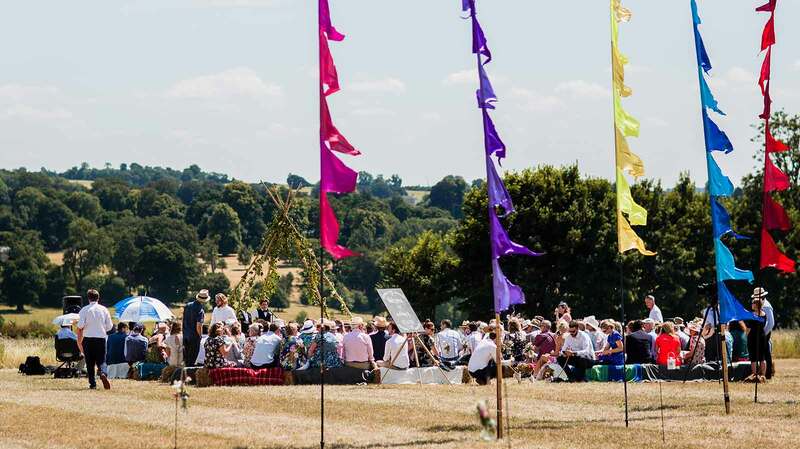 We an make recommendations for suppliers, create areas for your games and fire pits, hire flags for that festival feel along as help with anything else you need. We enjoy being part of your planning and love working together to see you live out your dreams on Your Field of Dreams. Next PostA Field Wedding: Where do I start?